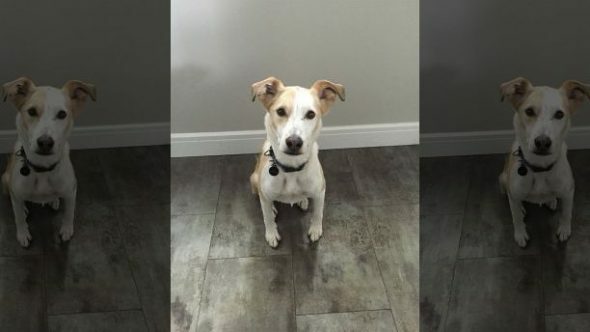 Reid Thompson and his girlfriend were out on a hike with their dog, Finn, in Kenora, Ontario, when they made the dubious decision to let the pup off leash. 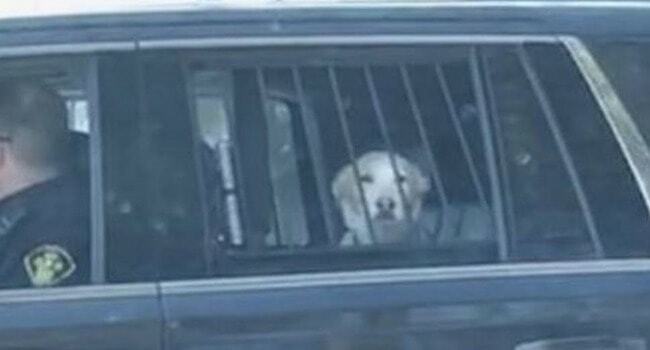 Instead of heeling, their “bad boy” took off once he caught an interesting scent, Thompson told Fox News. Ignoring the pleas of his owners, Finn split the scene. A half-hour later, Thompson got the call no “parent” wants to get. It was from the Ontario Provincial Police. Finn, it seemed, had gotten himself into trouble. Police told Thompson Finn had been “detained” and when he showed to collect the dog, they gave him a lecture on leashing your pet. 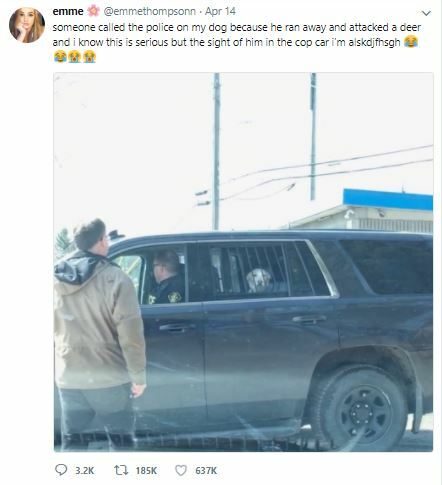 Meanwhile, Thompson’s daughter, Emme, clicked a pic of their pup looking guilty behind bars in the back of the cruiser and tweeted it to the world. The tweet has since gone viral, receiving over 630,00 likes and 185,000 retweets as of this writing. The response threads have been hilarious! “Not a bark or a ruff. Fifth Amendment all the way and lawyer up,” @GaryBoncella wrote. “I’m sure you could get a lawyer to handle this pro-bone-o,” said @kimberly_salz. “After a tip-off from an anonymous collar, they caught the pup-itrator, gave him a pat down, made sure he didn’t flea and sent him to the dog house,” wrote a ridiculously “punny” @JoshuaBowman. Thompson added that despite the “arrest,” Finn seemed “pretty proud of himself,” but wasn’t thrilled about the post-incident scrub down.